Mural on Bloor and Lansdowne, originally uploaded by funkaoshi. A mural at the corner of Bloor and Lansdowne. Since I took the photograph, Dyan Marie has filled in the empty billboard with a Greenspots "advert", featuring Vine People. I have been told there are 3 more murals just like this one along Bloor. 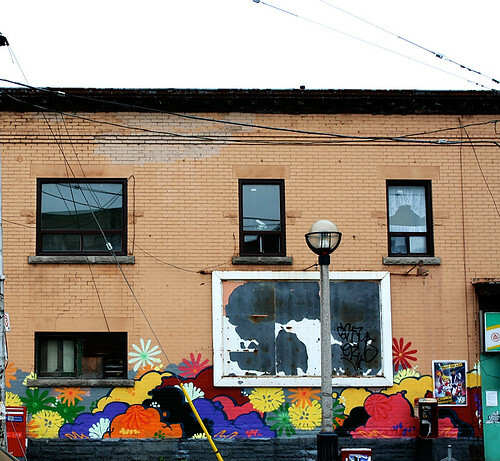 I think this mural adds some much needed colour to the corner or Bloor and Lansdowne.